This is my healthy easy roast chicken recipe which does not dry out despite being in the oven for over an hour and a half. The secret for a moist roast is to protect the chicken breast to allow it to brown yet is not over exposed to the drying heat of the oven. 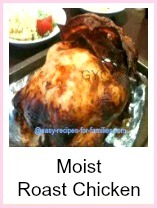 My son declares this roast recipe as the best because it is so very moist. Notice in the photo the crisped lengths of bacon moved to one side of the roast? These were draped over the breast to keep the roast moist. This photo below shows the bacon strips covering the roast as it came out of the oven. Discard the bacon. 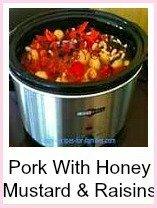 This recipe serves 5 persons. Serve with short pasta or macaroni and a crisp green salad. • Line baking tray with parchment or baking paper and place on it a roasting rack. The roast will sit on the rack to allow fats to fall through away from the meat and to allow circulation of hot air. Your family will just love this healthy easy roast chicken recipe because it is moist and delicious. 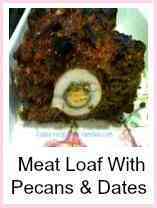 This recipe has no added fat to the cooking and most of the natural fats drain away to the bottom of the pan to be discarded. Now, how easy was this recipe! The general rule for a roast chicken is for cooking time of 1/2 hour for every pound of meat to be roasted. So, for a 4 pound or 2 kg chicken, this should take 2 hours. 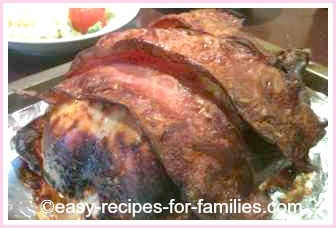 Be generous with the overlapping of the bacon, so that the chicken breast is well protected. You could snack on the crisp bacon strips, but I'd rather discard them. 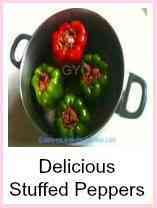 While my Mum would use pan juices to make gravy, I don't because of the high levels of saturated fat from roasting. As with any roast recipe, always allow it to rest for about 10 minutes before carving. For chicken recipes, I prefer to use kitchen scissors to joint the roast. It's much easier than using a carving knife. Remember to preserve the juices in the roast recipes, it is preferrable to use tongs rather than a fork to hold the chicken. 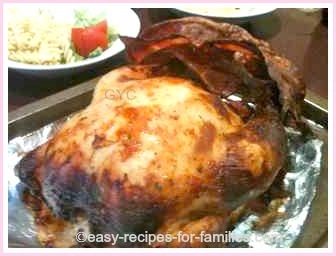 Leave Roast Chicken Recipe to discover hundreds of delicious easy and healthy recipes!